When you have big storage needs, A.B. 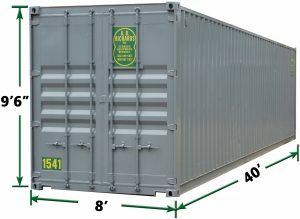 Richard’s 40ft Jumbo storage container is the solution. As the largest storage unit in our fleet – and far bigger than the competition, this portable storage container is perfect for any over-sized storage needs. 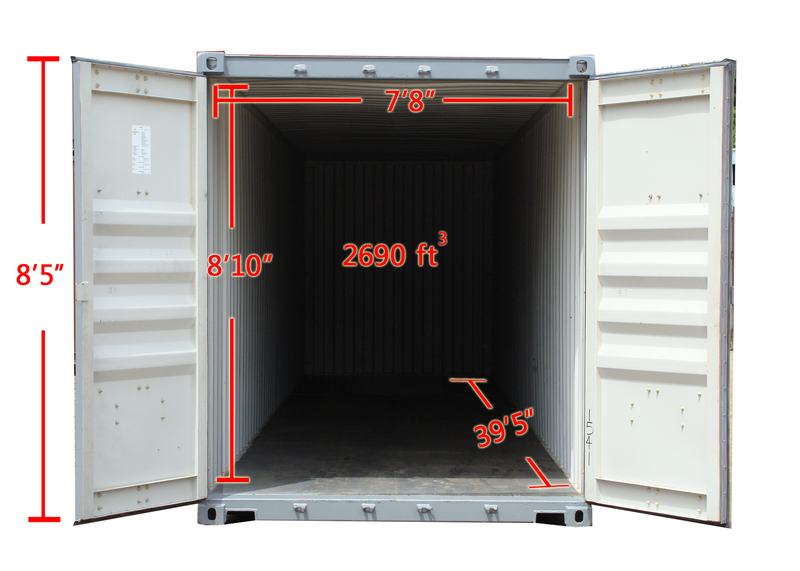 While primarily used for industrial and commercial storage, the 40ft Jumbo Storage Container has the same floor area as the regular 40ft container, but the entryway and the inside height are one foot higher, making it perfect for storing any type of taller and larger items. 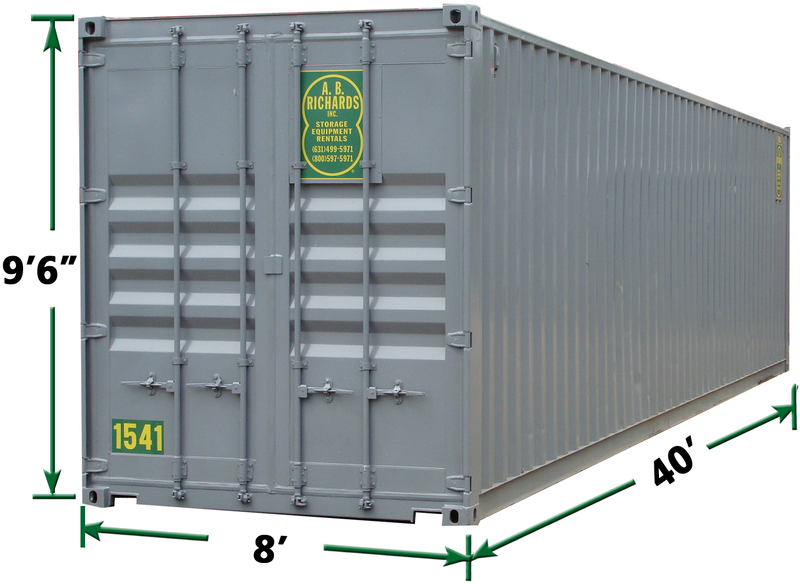 40ft jumbo storage containers are ideal on construction sites to store everything from building supplies to heavy equipment. They’re also great for residential items that require the extra height. Save the time and effort by keeping everything on-site. Call (800) 597-5971 or fill out the form to get a free quote! A standard size industrial forklift can easily fit inside this 40ft freight container. Our commercial and industrial clients have found the 40ft jumbo storage containers to be ideal for temporary storage or even permanent storage for articles of this type. Made of the same sturdy, 14-gauge steel as our regular 40ft storage containers. They’re so weather resistant that your belongings will be safe in the snow, high wind, sleet, and heavy rain. Their neutral gray exterior blends into most surroundings, whether residential, commercial or industrial. The container’s two large doors provide easy ground-level storage solutions to make it easy to load and unload large items. New York, New Jersey, Connecticut, Pennsylvania, Rhode Island, Delaware, or Western Massachusetts. Call or contact us today to learn more. Our trained storage solution experts will make the process of renting an A.B. Richards’ storage container quick and easy. Call today at (877) 208-8253 or fill out a contact form for convenient, affordable on-site containers.